Honestly, this book is required reading. I wish I had read this book when I was younger. It covers so many complex issues of race, culture, activism, and socioeconomics in a nuanced yet candid and genuine way. Everything in the book felt real and sincere. It felt more authentic than a lot of teen fiction I’ve read in the last ten years. To be fair, I have not read a lot of teen novels, but this is one of the best I can recall in recent memory. The dialogue is wonderfully crafty. There were definite moments in this book when I felt I was watching a TV show. I knew the characters so well by the last third that I could imagine it playing on screen. It is being adapted into a movie and I wish it could be a longer limited TV series. The amount of real character interactions and time spent with the protagonist Starr should warrant more than a two hour movie. The book discusses some very deep and complex issues in the USA and the west today. At no point did it feel corny or trite. A couple of things were so messed up (such as Seven’s parentage) that makes me wonder if Thomas had taken it from real life. A lot of the other stuff on gangs, drug dealing, police brutality felt very real and familiar based on what I’ve read and heard. It was a sad read a lot of the times. It was uncomfortable and upsetting too. I am not black and I could not completely know how Starr felt but her emotions, her thoughts, and her actions were believable. Very good storytelling. This is the kind of young adult book I think most teens should read. I wish I knew of a teen I could give this too! Timeless is Parasol Protectorate No. 5 and the last of this series. I have been reading this series since late 2010 I think. I like it because it has comedy, supernatural elements, steam punk and urban fantasy, but it isn’t as dark as some of the latter two elements usually. It’s fun ‘fluff’, but it also has some wit and great diction. The series is found in the young adult section of the library, but all the characters are adult and there is sexuality in it. What I really adored from this series are the characters. That’s usually how it goes for me. While I like Alexia and Maconall, I have a fondness for the supporting characters and relationships: Professor Lyall (who reminded me of Harry Potter’s Lupin), Lord Akeldama, and Biffy. I was pleased that Biffy had even more prominence and perspective in the last book. I recommend this series for those who like light supernatural series and Victorian times. It’s light and suitable for adults. The next series The Parasol Proectorate Abroad will come out Fall 2013 and is suppose to be set twenty years in the future from the end of Timeless. I hope most of my favourite characters will become prominent in the next series and I look forward to seeing how Prudence grows into her powers. Finished reading on the Kindle on April 7th, 2012. Visit the author’s website at Gail Carriger.com. This young adult graphic novel was nominated for the Eisner Award for Graphic Album in 1998. It tells of a wizard who is descended from a long line of evil wizards except he’s quite bad at being evil. He reluctantly has to set off on a quest for a magical book otherwise he’ll get kicked out of his castle by other evil wizards. There is a quest, there is romance, there is a squire who wants to be king, and a talking toad. It is a very short and quick read, and while it is a young adult, I think many younger readers would like it. It’s an unconventional sort of fairy tale with touches of humor throughout. A prequel novella to the His Dark Materials trilogy. The story features on a young Lee Scoresby and his daemon Hester on a trip to the north where they first meet Iorek Byrnison. It is set more than thirty years before Northern Lights/The Golden Compass. This book is only of interest to those who have read Philip Pullman’s trilogy and is especially delightful to those of us who love the Lee and Iorek characters. I can recognise Pullman’s distinctive storytelling style; this little book had airs of his Sally Lockhart trilogy as well. The book also includes engravings by John Lawrence. I actually like engraving art and wish there was more of it now. The story is still full of fascinating things about the HDM universe; I always find the daemon idea fascinating. As usual, Pullman entertained and delighted me. Quick and speedy read at 95 pages. The second and third book in Stephenie Meyer’s Twilight Saga. So far, my favourite is still the first book though I did like Eclipse and the ending of New Moon. I read both of these on my laptop which is the first time I’ve read such complete novels on the computer. If it were any other books, I would be adverse to try it. These books were short and not too intense for the eyes. There are major spoilers under the cut. I was aware that this book was popular, but I did not know how so nor did I know what the series was about until my friend showed me the trailer for the movie slated for December 2008. The more I learned about the series, the more I intrigued I became and convinced I would like it. The book’s paperback version is 475 pages, but I finished it in only a few hours. The fast pace of the book is driven largely by its dialogue driven and suspenseful content. Things happen very quickly, and it really is not hard at all to see why this book is so immensely popular especially for females. It has the air of chicklit about it, but better because it is fantasy romance. I don’t read many modern romance centred novels, but I know many popular and classic fantasy series do not have the central, compelling relationship of Edward/Bella. Their relationship is a classic story of forbidden love except he’s a vampire and they are teenagers in love for the first time. I think Meyer is adept at writing a teen girl’s feelings and attraction. While the book is not that full of twisted plots or self-absorbed by its own mythology, it is really good book to escape with. This book is fun. Sure the characters (e.g. Edward) are sometimes too perfect, and there is nothing truly distinct about the writing or prose. It has that ability to take you on a ride with Bella in her romance and adventures with these vampires. The relationship is so physically tenuous due to him being a blood sucker, and the fact these are YA books written by a devout Mormon makes the sexual tension rather high in these books. It adds onto the suspense and the fascination with their relationship in the books. The escapist nature of the books makes it immensely rereadable. I say this as someone who does not really re read often or who loves the vampires subgenres. As for the characters, I liked them all for the most part. I give Bella a lot of slack for talking about Edward’s beauty every other page while being self-deprecating. She is 17 after all. It is impossible to dislike Edward; he has been designed to be the perfect romantic and courageous leading immortal male. I also liked the other Cullens (vampires) and will look forward to getting to know them more. In fact, I have already started New Moon, the second in the series. As for the movie, the LA Times has a great article and behind the scenes clip of the movie. It really is going to be one my most anticipated films of 2008. The buzz around it is crazy enough; doubtlessly, they will adapt the sequels. When I read this book the first time, I was a little older than the protagonist’s age. I’ve reread the books twice since, in audiobook form last year, and yesterday before I saw the movie. I love the HDM trilogy because is an extremely well done fantasy series that is complex and layered. It’s definitely not just for kids and is rereadable for a variety of reasons including the questions and ideas it elicits. The idea of a movie has been around for a long time, and I remember there had been some issues with the script and switching of directors. I am really glad it has been done. I enjoyed myself. It was great to see all the concepts in the books such as the daemons, and Iorek visualized. The special effects were some of the best things about the book. The casting is fantastic. I think everyone, including newcomer Dakota Blue Richards, did a fine job. I really want to the film to do well; this is actually the first time I’ve been in a movie theatre since May 2006. The success of this movie will determine whether New Line green lights the other two films. The ending is abrupt as a result which brings me to more in depth comments below. Nick Hornby is probably one of my favourite authors. I like his novels; they can make me laugh and smile. They make me appreciate life, quirky observations, and also, what it’s probably like being a guy. I love his essays; he writes like a friend I would hang out with often. He’s probably funny as well. Slam is his first Young Adult novel. I’ve read almost all of Hornby’s works, and I think the only one that left me disappointed was How to be Good. 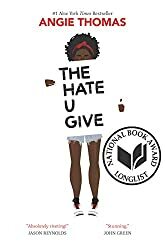 This book was better than that, and I didn’t really know the plot going in other than the fact I knew it was going to be a book for young adults. The story revolves around teen pregnancy. The characters, were true to Hornby form, sympathetic, honest, and painfully normal in the real life way. I don’t know if I like this as much as his other great novels (High Fidelity, A Long Way Gone, About a Boy), and nothing beats his essays really. Still, I laughed and smiled as I usually did in this book, and I wonder what I would have thought about this book if I was still the age of Sam, the protagonist. If I was 16 or 18 going through this. It would have freaked me out a bit; I was already scared by other things back then. I would have liked it for the writing of course. Even now I can’t imagine going through this. I’m not ready yet, but it’s interesting to see Hornby’s take on the journey. This book reminded me a bit of To Kill a Mockingbird in its setting and main characters. Both books takes place in the south. While the core themes of it differ, both are essentially stories about growing up. Katherine Paterson seems to capture childhood so well. When Jess and Leslie create and explore Terabithia, I remember my own childhood of imagining other worlds, fantastic creatures and adventures. They even refer to Narnia. I remember reading that series, and trying desperately to find a wardrobe. I’m sure I hid in a wardrobe once, but alas, not gateways. The only thing that bothered me about this book is that I predicted the ending early on, and initially found it a bit contrite. I do not blame the book because if I had read it when I was 10, I probably would not have found it contrived since now I’m marred by years of books, movies and television. It’s hard for me to review very well written books, especially children’s ones such as this because it just comes down to the writer’s ability to write prose and experiences that capture readers. Paterson allowed me to be nostalgic, and I only wish I had read this when I was younger because I know I would have loved it and understood it even more than I do now. The movie was adapted by Disney this year. Overall, I think they did a decent job. It could have been a lot worse, and while they changed some things such as the time setting of the book (present day instead of the 1970s in the book) and other little details, I found they kept the important things and tried to accentuate certain details the book was subtle yet important on (Jess’s father and their relationship). I do not think the movie is a replacement is for the very well written book about growing up and the values of imagination and friendship. I liked the movie well enough, and considering what I’ve heard of other films in this demographic, it probably is good as a stand alone film and more worth kids’ (and adults too) time. This novel by Jean Craighead George reminded me a lot of another Newbery Medal winner: Island of the Blue Dolphins by Scott O’Dell. Both young adult books feature young female protagonists forced to survive in the wild. Both books explore survival and the relationship between man and nature. I read this for the Book Awards Challenge; I chose it because I’ve seen the book cover for many years. The cover has left an impression, and I’ve always found wolves to be beautiful animals. I’d like to think that my daemon would be a steely, graceful wolf. Well, that’s what I would say to myself. One learns a lot about the life up in the Arctic circle, and the spritiual and practical lives that the Eskimo/Inuit have or had at least with the harsh climate. There are often discussions about the traditional life and the new one. The book was published in 1972, ten years after Island of the Blue Dolphins and the same year as Watership Down by Richard Adams. I’m seeing the trend in all these books in regard to the relationship between man and nature, all discuss them to some degree and the essential human and animal values of survival in no matter any climate. They were published in a time when the environmental movement began to take the mainstream consciousness.Â All of three of these books are also regarded as children’s books, but they hold universal messages about our links to the environment. Julie of the Wolves is the first of a trilogy which I will finish. I did like this book, and the ending left me wanting. I usually finish the series that I start in any case.